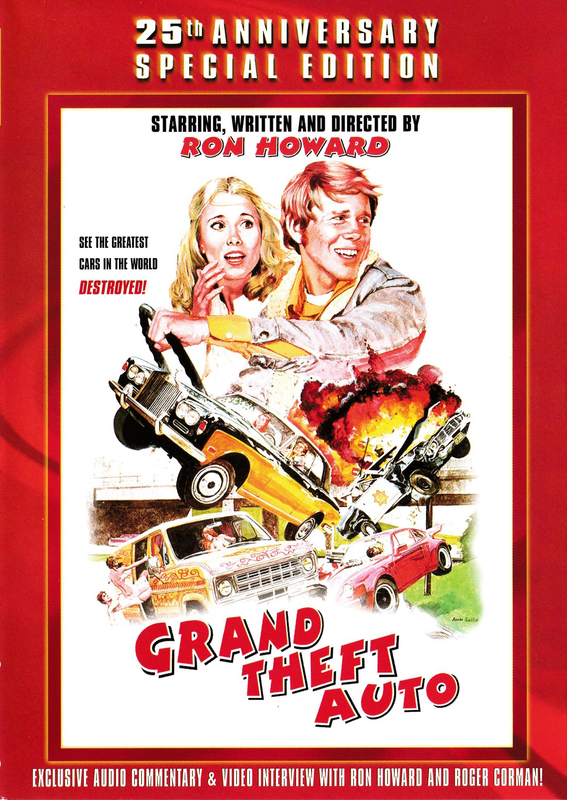 Teenage car-nappers go wild in the funniest car movie ever, featuring Ron Howard's directorial debut. - Exclusive Video Interview with Ron Howard and Roger Corman. - Feature length Audio commentary with Ron Howard and Roger Corman. - Video Interview with Leonard Maltin and roger Corman. 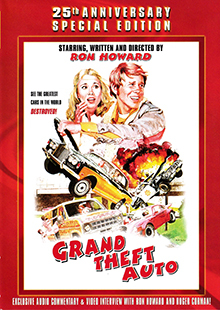 - Original Theatrical Trailers of GRAND THEFT AUTO and EAT MY DUST. - Printed reproduction of original theatrical presskit.